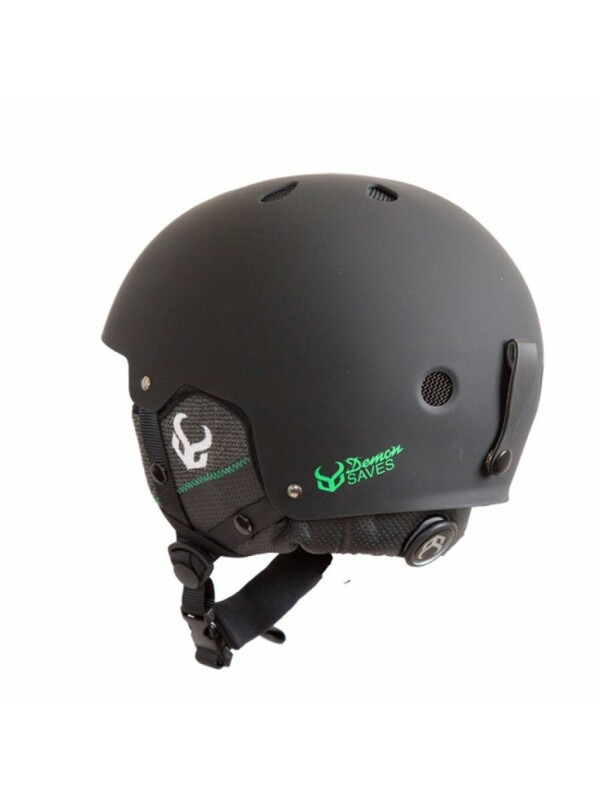 The Demon Faktor snow helmet with audio is one of our latest additions to our snowboard gear line. 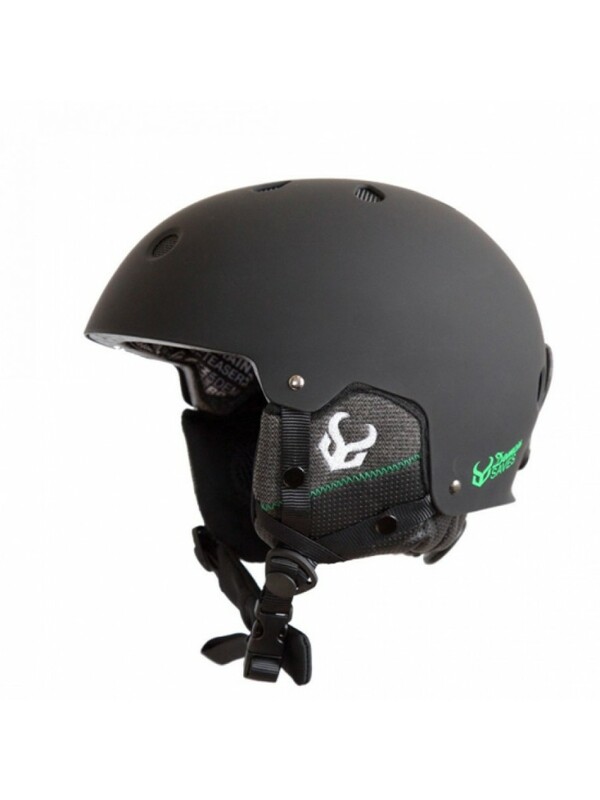 The Faktor ski helmet is jam packed with upgrades from our previous helmets, including rubberized coating, adjustable sizing and sleek new design. We took it up a notch this year with our helmet protection and the Faktor helmet shows you just how much. 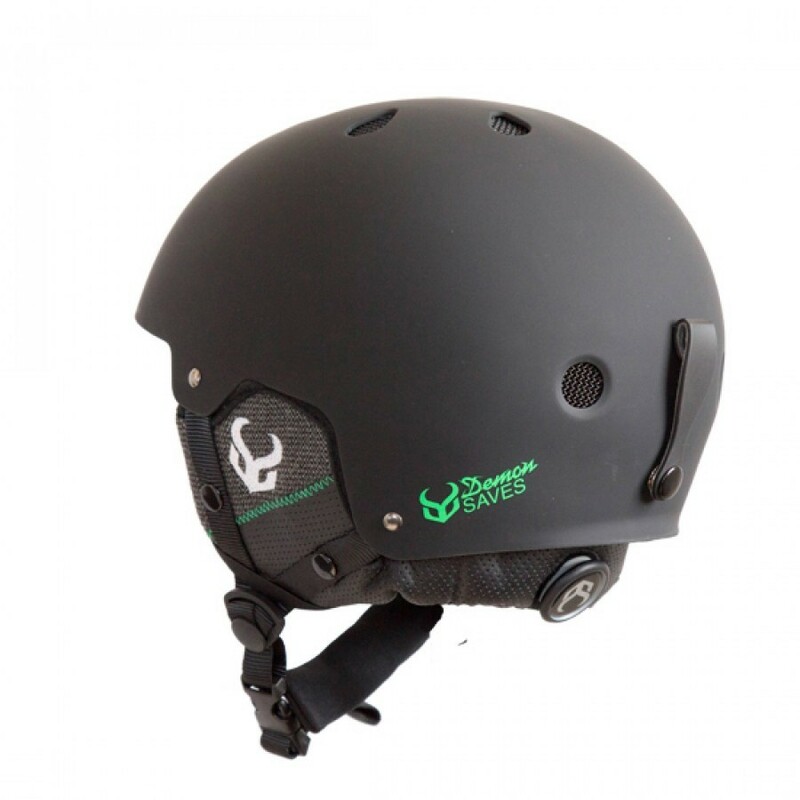 Faktor Ski & Snowboard Helmet - Demon Certified Protection - We don't take safety lightly here at Demon, and that is why the materials used to construct the Faktor Ski & snowboard helmet are well researched, top quality materials. The fit of the helmet can be adjusted by turning the knob on the back of the Faktor ski helmet, ensuring that the helmet fits snugly and safely. We used the same ABS shell that is used on the Phantom helmet, but we added a rubberized coating to give an extra matte look and feel to the ski helmet. 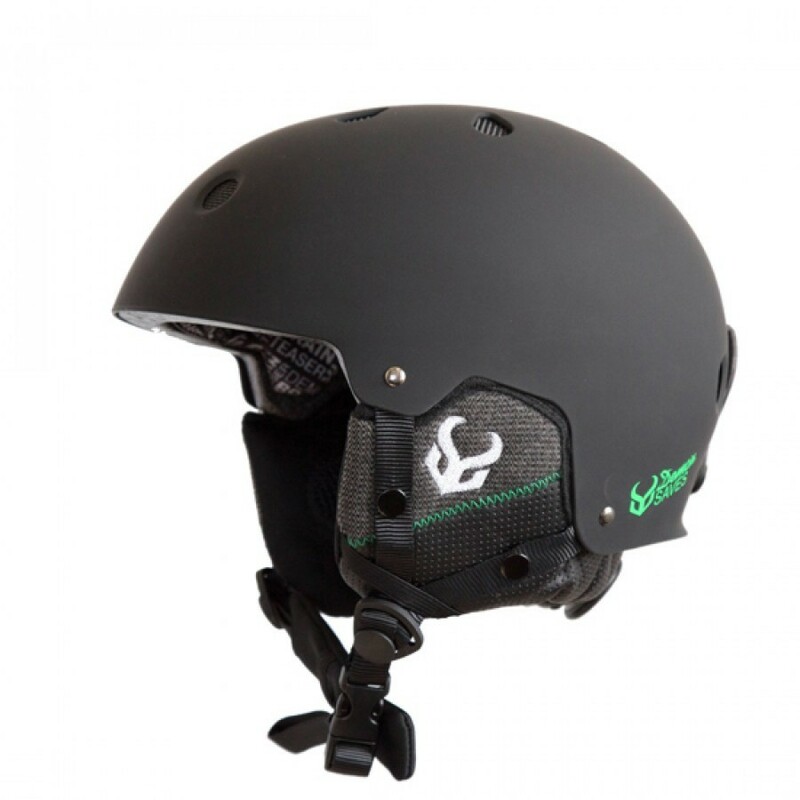 Faktor Snowboard Helmet with Brainteaser Audio Ear Pads - The Faktor ski and snowboard with Brainteaser Audio Ear Padshelmet now comes with the Brain Teaser Audio already installed . Demon and Brain Teaser came together and produced an awesome snowboard helmet speaker set that will keep you jammin' all day on the mountain. Just plug the aux cord into your device and your helmet comes alive with audio vibes! Vents to keep you cool. Matte colors available: black, gray, blue and white. Please Make sure that your helmet should be placed so as to protect the forehead and not be pushed too far back over the back of the head. Choose a size that fits comfortably and securely on the head. If there are any pressure points choose a larger size. The fit can be adjusted by adding extra padding under the comfort lining. Take care not to damage the shock absorbing lining. Adjust the helmets chin strap to ensure that the helmet remains securely on the head in the event of an accident. This helmet is designed to be used with or without glasses or goggles designed for use with helmets. If the helmet has a goggle clip in the rear it can be used to secure the goggle strap.